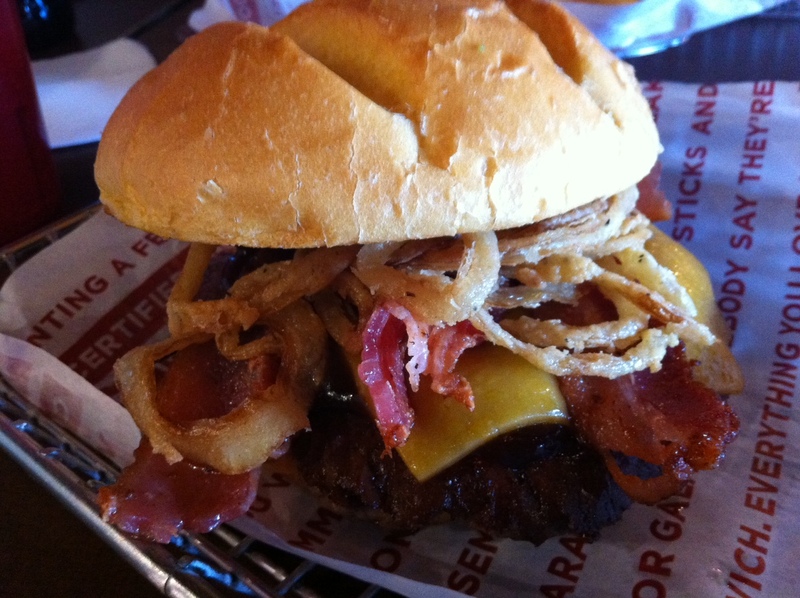 Let's be real: Smashburger is consistently impressive. Sometimes the greasiness of their burgers, depending on the other toppings that may or may not balance things out, can be too much to handle. On this barbecue burger, there is enough texture and flavor to offset any surplus juicyness, not to mention the formidable soakage ability of the firm egg bun. This sucker has cheddar cheese, sweet barbecue sauce, applewood smoked bacon and a nice pile of fried onion straws. Not too sweet, with a crispy-meaty bite, and plenty of richness from real cheese. Smashburger is staying at or near the top when it comes to fast food in Vegas.